VIPROX™ is a clinically proven and patented therapy for the treatment of conditions related to a compromised immune system. Includes 1 x GshComplex®, 1 x Triozyme®, 1 x UneVie®. Only available for Auto-Ship Monthly repeat customer. VIPROX™ has been designed for people with sight and skin problems or for those with serious diseases. It is made up of three valuable formulas, which, when taken in combination, have shown positive results on overall health. Cymcorp International offers a complete range of anti-aging products designed in Canada, which help reduce signs of aging and prevent/heal degenerative conditions. We use only high-performance nutraceutical cellular substrates, which have been scientifically and clinically proven. Viprox is a quality of life therapy to be used according to your life style conditions. Please disregard the instructions on the box and follow our simpler method of use for guaranteed results. Chew 2 Triozyme after each meal and follow with a 500ml/17 oz glass of diluted UneVie. Mix one (2) scoop of GSH Complex in a glass of 500ml/17 oz of diluted Une-Vie solution. Drink before breakfast and (1) scoop of Gsh Complex before supper. Chew 2 Triozyme after your meal follow with 500ml/17 oz of diluted Une-Vie solution. Chew 2 Triozyme after each meal and follow with 500ml/17oz of diluted UneVie solution. * According to science an average individual should drink 2l/ 68 oz of water/day to stay healthy. 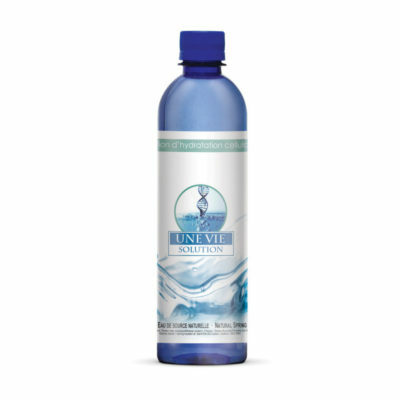 So drink up and stay healthy with Une-Vie. ** Should the taste not be palatable to your liking, you may mix GSH Complex in a cold beverage like orange juice or milk and follow with a glass of diluted Une-Vie. Auto-ship is a privilege granted to customer committed to their quality of life. It comes with substantial savings. This privilege should not be abused for the mere sake of a one-time saving. In this regards customers cannot suspend their auto-ship privilege before six consecutive months. Within this period they can upgrade at any time. After the six month period they can cancel, amend or suspend the original auto-ship understanding. Thank you for your understanding.